Contact Sykes at Old Wye Valley Chapel on 01244 500 540 or complete the enquiry form. Love quirky holiday homes with lots of character? If so then a stay at the Old Baptist Chapel could be the answer to your prayers. With 2 bedrooms this unique chapel conversion offers pet-friendly accommodation and sleeps up to 4. If you adore original features such as exposed stone walls then this Grade II listed former church building could be the ideal place for your Monmouthshire holiday. Whether for a romantic break or small family holiday, this unique holiday chapel in the appealing village of Penallt has plenty of appeal. Inside contemporary decor successfully blends with this chapel conversion’s original features to make a homely and comfortable holiday home. The open plan living area has some fantastic British themed styling and with its comfy sofas and woodburner is a great place to kick back and relax and is complete with kitchen and dining area. One double bedroom is located on the mezzanine which is reached via a sumptuous iron spiral staircase and comes complete with en-suite shower room and there is one further double bedroom on the ground floor, again with its own en-suite shower room. To the front of the property is an outdoor dining table and chairs where you can enjoy the setting and sitting out in the enclosed garden. For sociable tipples down the pub, there is a welcoming inn just a short walk away which serves a choice of drinks and food. For days out the town of Monmouth is just 5 miles away and the stunning countryside of the Wye Valley is to be found all around. This is a fantastic area for those who enjoy the outdoor life with fantastic walks and outdoor activities on offer such as horse riding, fishing and even caving or abseiling. Further afield but still within easy reach for day trips is the lush greenery of the Forest of Dean for more opportunities to enjoy the great outdoors. Please note that due to this former church property’s historical features such as stone floors in some rooms and the spiral staircase, this property is not suitable for young children and is only suitable for children aged 10 years or older. 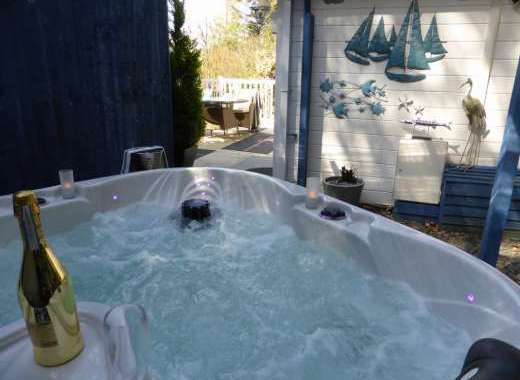 2 nights in quirky cabin, spa hot tub & sunny balcony in great location close to the lake & busy village call 07725819384 now for unbeatable value special offers .